What is the MET Gala? What is the MET Gala 2019 Theme? In May 2019, New York’s Metropolitan Museum Of Art will throw open its doors and lay down its red carpet for the 2019 MET Gala – but what’s it all about? It’s official, this theme has been revealed, and while this year’s religious theme was mega controversial (Rihanna dressed like the pope for crying out loud), 2019’s theme is going to seem tame in comparison: Camp: Notes on Fashion. Like previous years, it will be an extension of the Met’s exhibition, curated by Andrew Bolton and Wendy Yu, around Susan Sontag’s 1964 essay Notes on “Camp” which amongst other things describes it as a love of exaggeration. Gucci is sponsoring the exhibition, so expect plenty of fittingly outrageous and fabulous outfits. When is the Met Ball 2019? The Met Ball falls the first Monday of May every year, which in 2019 will be Monday 6th May. Yup, once they’ve done posing up a storm on the red carpet, Kim Kardashian, JLo and co head inside to examine the exhibits. You can just picture the two of them in conversation about the qualities of traditional seaming versus ultrasonic welding, can’t you? Who will host the Met Gala 2019? Anna Wintour has been the chair of the event since 1995, and for 2019, she will be be co-chaired by Lady Gaga, Alessandro Michele, Harry Styles and Serena Williams. Think tech, punk, superheroes, the full history of Chinese fashion – yes, if there’s a dialogue to be had on a style subject then you can bet the MET Gala will have been all over it at some point. See a list of the last 20 years’ themes below. When the theme is something trickier like China: Through The Looking Glass, dressing the part can become a bit of a minefield. So many an A-lister chooses to ignore the dress code completely and just do full on, va va voom glam, instead. 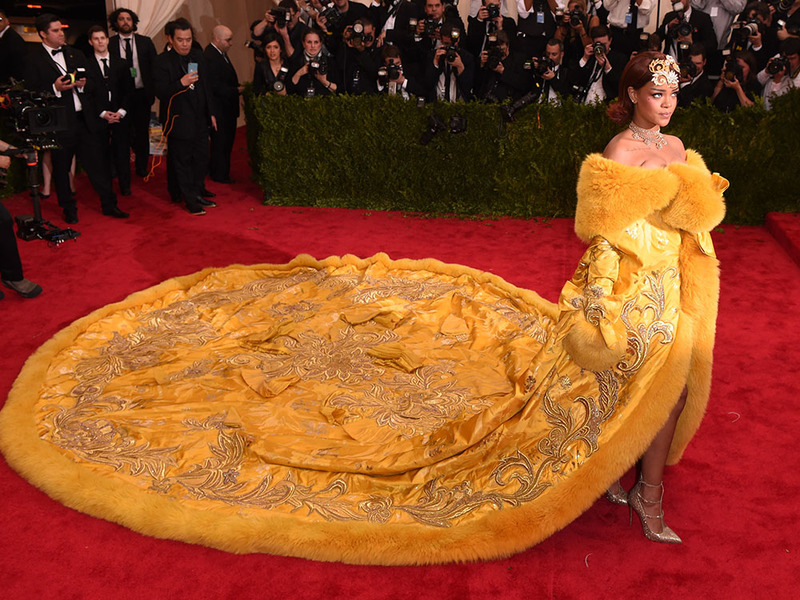 We’re not complaining, as some of the most beautiful red carpet looks of all time have been created at the MET Gala. The MET Ball is a great place to be if you’re in a really, really ridiculously good-looking couple. Beyonce and Jay Z, Blake and Ryan – every A-list couple gets dressed up to go. And if you haven’t got a hot date? You become a muse and hang off the arm of your favourite designer, naturally. Fun fashion fact for you there. The gala’s been going since 1946, which makes this year’s party the 71st annual event. How will the fashion elite celebrate? With bolder hairdos, flashier jewels and even more enormous couture ensembles than ever before, we’d guess.